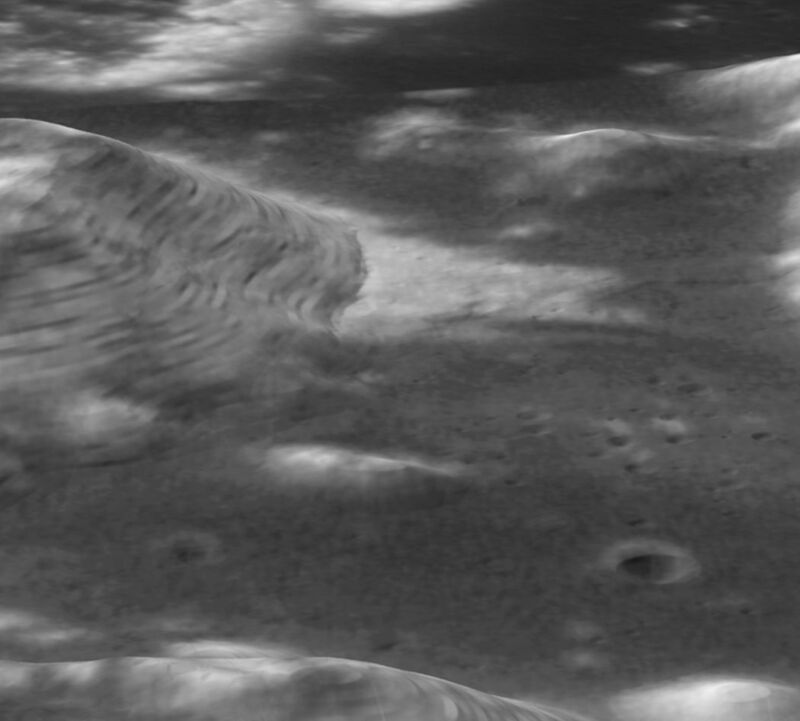 This image was constructed by overlaying the Hubble Advanced Camera for Surveys image of the Apollo 17 landing region within the Taurus-Littrow valley, taken on Dec. 16, 2005, with a digital-terrain model acquired by the Apollo program to provide a perspective view looking from west to east up the valley. These Hubble data illustrate the high-resolution resolving power of the Advanced Camera for Surveys and display features smaller than a soccer field from low-Earth orbit some 248,000 miles (400,000 kilometers) distant. These images were acquired at nearly full Moon, so the long, dark shadows typical of many lunar orbital photos are not seen; however, this is perfect lighting for color analysis from which to interpret subtle compositional differences. The Hubble Space Telescope Lunar Exploration team is using the Apollo 17 images (and those acquired of the Apollo 15 site) as "ground-truth" in an effort to discriminate lunar materials enriched in ilmenite, a titanium-bearing oxide of potential value as a resource in human exploration of the Moon. 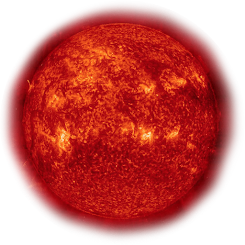 The image was processed by the Hubble Space Telescope Lunar Exploration team at NASA's Goddard Space Flight Center, Northwestern University, and the Space Telescope Science Institute.